One of the most tortured and misunderstood concepts in astrology is that of Exaltation. There are two main reasons why this is the case. First of all, modern astrologers are either unaware that a mystical system exists that permeates and underlies all astrology or fail to see its relevance. Worse perhaps, is that there is awareness of this system, but the modern practitioner takes for granted that it can be changed to suit ‘modern sensibilities’ or ignored all together. If you can’t see why the system is the way it is, then what’s the harm in throwing a few extra planets or asteroids in for good measure. Who cares if there are enough asteroids to provide over a hundred of them for every degree of the zodiac. While we’re at it, why not add some new aspects because, you know, our subtle energies vibrate to a New Age to which the ancients had no awareness. They only used the seven planets and the five aspects because they didn’t know any better. Somebody ought to channel Pythagoras and let him know. So when the question arises as to why a planet is exalted in a sign, those sufficiently divorced from the tradition, might attempt to understand it using, let’s say, psychological criteria that become increasingly exotic and usually highly subjective. 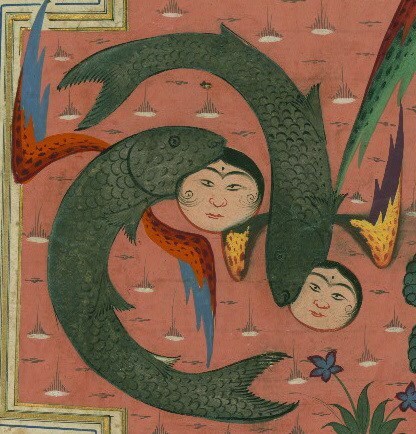 In the case of Venus in Pisces, we are told that only Pisces can give unconditional and Universal love whereas Venus in other signs is presumably incapable. Universal love or agape isn’t what Venus is about. She is associated with Eros, music, seduction, sweets and so on. Recently I read that Venus is exalted in Pisces because Venus was born from the sea, more accurately sea foam, which sounds good until you realize that Pisces is not the ocean. That belongs to Cancer. A brief search on the internet will provide several other stock explanations that make little sense when examined in the light of reason or by simple reference to the system that brought about exaltations in the first place. The most direct technical answer to the question . why is Venus exalted in Pisces.’ is to note that it’s opposite the Fall of Venus in Virgo. Exaltations are always in the opposite sign of their Fall Let’s begin with the Domicile of the Signs: below is the list of domiciles for each planet and luminary. With the exception of the Sun and Moon, all planets have two domiciles. One is Masculine or Diurnal and the other Feminine or Nocturnal. The system is a perfect symmetry, but may not appear to be at first glance.. If we take the Sun and Moon as the centre, then the rulerships follow the Chaldean order of planets. So for example, Mercury takes Gemini and Virgo as domicile – that is to say the sign before and the sign after the Luminaries. Next will come Venus in Taurus and Libra Finally Saturn is left with Capricorn and Aquarius. See the diagram below. Mars finds his domicile in Aries and Scorpio – Diurnal Masculine and Nocturnal Feminine. Saturn has his Domicile in Capricorn and Aquarius – Nocturnal and Feminine and Diurnal Masculine. These Saturnine signs oppose the Luminaries: Capricorn is the detriment of the Moon and Aquarius the Detriment of the Sun. Saturn is the greater malefic. 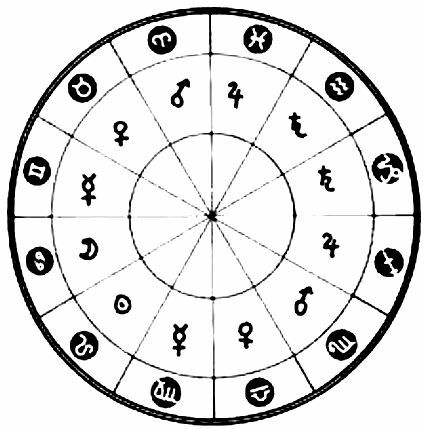 The domiciles of Mars, Aries and Scorpio, oppose both domiciles of Venus, Libra and Taurus respectively’. Jupiter the greater benefic has Sagittarius and Pisces for his domicile. Diurnal Jupiter trines the Sun and is Exalted in the domicile of the Moon. From this alone, it is easy to see why Saturn is the greater malefic and Jupiter the greater benefic. Mercury appears to upset the balance by having his Domicile and Exaltation in Virgo, while he takes both detriment and Fall in Pisces. Venus then takes her fall in Virgo and exaltation in Pisces. This is because Jupiter opposes both domiciles of Mercury and visa versa. Returning to Pisces, we find nocturnal Jupiter opposing Virgo, which is trine nocturnal Venus – thus Venus is exalted in Pisces. The system is simple once one knows how to read it. Remember this is only one way of measuring planetary strength. Domicile is considered to be of greater dignity than Exaltation. The final analysis will look to the phases of Venus. She is known as Phosphorus as the evening and Lucifer as the Morning Star; but that is for another article.. This entry was posted in Exaltation, Pisces, Pythagoras, Traditional Astrology, Venus. Just like you, I like to understand the “why” of things. Memorizing tables it’s not enough for me. Your article point the luminaries as the “triggers” to define the dignity of planets. If Jupiter is considered a benefic ’cause it trines the Leo (the Sun), why Scorpio is considered the “fall” of the Moon since it trines Cancer and Taurus is considered the exaltation of that luminary? I’ve been reasearching about this topic exhaustively and haven’t found any convincing theory that to explain the dignities of all planets. This was extremely helpful, thank you! following you now…. 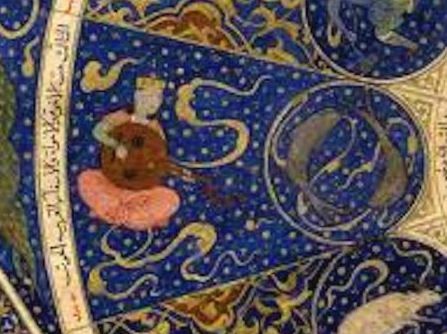 What of the outer planets changing the Chaldean Order? how do we keep it symmetry? Perhaps we have entered a new age, the age of non-symmetry? As you know, the outer planets are not part of the ancient system. Astrology isn’t astronomy, so there is no obligation or reason to add an ever-increasing number of planets when the traditional ones give us all we need.